Kawase Closing end of 2018! As you may already be aware of, Kawase is being rebranded to Fondex. 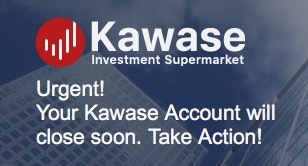 You can keep your Kawase account up to the 31st December 2018. Upon that date, you will be able to start trading with Fondex. Kawase has served as a great foundation on which we built Fondex. In the online trading industry, it is important to move with the times and always improve our offering. Hence why we created Fondex, while keeping the key principles that Kawase has been operating under. Trade manually and perform your own analyses, following your own strategy. Follow 600+ free daily signals provided by Trading Central, in your platform, with the click of a button. Copy top-performing strategies provided by other traders on Fondex cTrader Copy. Automate your trades using robots (cBots) on Fondex cTrader Automate. With Fondex, you can enjoy raw spreads starting from 0.0 pips, low commissions on Forex, Energies and Metals, zero commissions on Shares, Indices, ETFs and Cryptocurrencies, no minimum deposit and unparalleled protection of your funds. Log in to Fondex cTrader using your existing cTID or your email address. Click “Activate Account” and upload all necessary documents in order to get your account verified. Deposit funds and Start Trading. Pepperstone webinars are designed to help you learn to identify profitable opportunities, as well as improve your strategies to become a successful trader. a great description of what is what can be found on the KingPassive Blog. Knowing where to exit is more important than knowing where to enter. or in other words, Greed Kills ! as the market will tell you where it will likely to go, not your Profits/Losses!! why? if you enter late, your position size will be smaller, because you will need a wider stop point (not really a big thing, just the reward is smaller, and the time the trade is “red” may be longer, nothing that can kill us, and in the end ist money being made. especially in smaller timeframes, that can have Fatal results. here is a typical Scenario in how to find an exit point. Trading carries a huge risk for losses! In fact, there is nobody in the world that trades who does not experience losses! Our mission as traders is to limit the losses we incur so that we can protect our Equity. As widely taught by educators, financial analysts, and other traders, the easiest way to protect ourselves from losses is to use a Stop-Loss order. A stop-loss order will close your trade at a specific price set by you to limit the loss in case the trade becomes invalid. Hedging occurs when a transaction is entered to reduce exposure to a prior trade turning against you and eliminating profits or increasing losses. Hedging is done to decrease the risks and hold a position until the markets begin to move in the original trade’s favored direction. Just like finding entries, it is even more important finding exits. It is especially important in the case a Day-trade turns into a swing trade. Swing trades usually carry much smaller size because the stop-levels are much wider. Using the same size on a much wider stop would massively increase the risk of the trade.